Background/Info: Mantus is already back on track with a new exposure of this German goth formation’s creative mind: Martin Schindler. This artist can look back at an impressive discography. Mantus has experimented with multiple influences, moving from metal to rock, but always remains faithful to the gothic basis of their sound joined by beautiful female vocals. 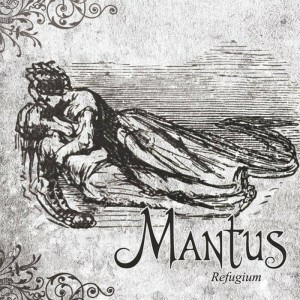 Content: “Refugium” rapidly appears to be one of Mantus’ most versatile albums. A few albums like “Zeichen” and “Wölfe” appeared to be a harder fusion between gothic- and metal music while the previous work “Melancholia” revealed a softer and sensitive approach. I’m not saying “Refugium” is a symbiosis between previous releases and sources of inspiration, but it’s more open-minded. 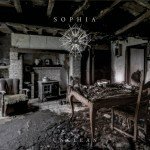 There still is this typically German gothic sound, which has been polished by neo-classic arrangements while other parts are joined by furious guitar riffs. There is the occassional switch from male- to female vocals, Martin Schindler symbolizing the ‘evil’ and ‘Chiara Amberia’ the grace and beauty. 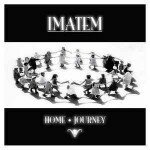 “Refugium” doesn’t deliver real surprises, but remains a deeply artistic creation featuring opposite styles melding into a sacred sound. The arrangements can be sensitive and refined with piano parts, but the next song might reveal a heavier and bombast, epic arrangement. Mantus is not predictable and that’s why this work is once more taking you by surprise. + + + : Martin Schindler remains to me one of the less recognized gothic artists in the scene. He brings multiple influences together in a solid and goth-transcendental sound. The arrangements are absolutely amazing while the female vocals inject this sensual and graceful touch. – – – : The album reveals seseveral cool songs, but maybe not a kind of essential piece, which you would choose as a single. I can imagine the album’s diversity will not be praised by all gothic lovers. Conclusion: Mantus remains a typical German gothic formation and “Refugium” will for sure enter into the band’s history as one of their most accomplished pieces. Best songs: Schliess Die Augen”, “Traurig Bin Ich Sowieso”, “Zwischen Den Nächten”, “Kampf Der Kulturen”.